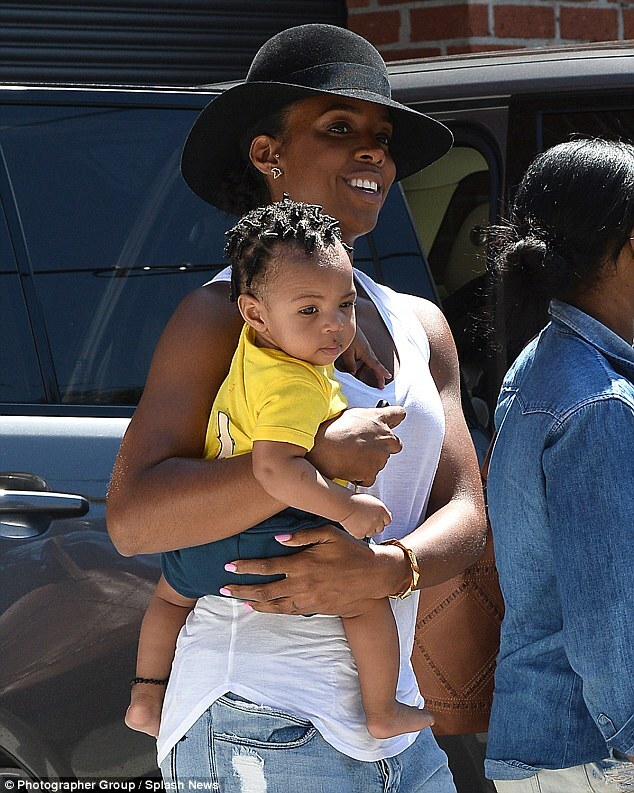 34-year-old Kelly Rowland was seen leaving a studio in Hollywood carrying her seven-month-old son Titan on Friday. It's been seven months since Kelly gave birth to Titan in November, but the new mother has already sprung back into shape. She put the results of her grueling workouts on show in a soft white tank top and ripped jeans. More photos after the cut..